When you watch Elementary Season 4 Episode 17 online, Sherlock and Joan are on the case when a man dressed as a superhero known as the Midnight Ranger turns up shot to death. Unfortunately, they can't even seem to figure out the man's real name, though members of the community on his "beat" seem happy and grateful that he was looking out for them and protecting them from crime. The comic book company that owns Midnight Ranger was frustrated by his antics, but were apparently just as in the dark as to his true identity, as well. Just when all hope of finding the truth seems lost, another masked superhero, the Standard-Bearer, comes to their aid with some critical information. Meanwhile, Morland approaches Joan with a request to investigate his staff and uncover a mole who spoiled a very lucrative business deal. Sherlock warns Joan to stay out of his father's orbit, for her own safety. Will Joan take Sherlock's advice? Will they be able to identify the Midnight Ranger and find out who wanted him dead and why? 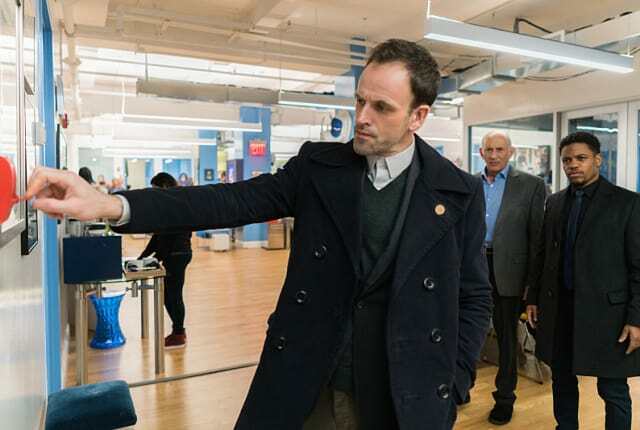 Find out what happens when you watch Elementary Season 4 Episode 17 online, right here at TV Fanatic! In what universe are these people not all dead of cancer? Permalink: In what universe are these people not all dead of cancer? He proved tweed isn't bulletproof! You must be proud. Permalink: He proved tween isn't bulletproof! You must be proud.